“Peak Google” is what I like to call a “contagious misconception” — it seems to make sense, and therefore is worthy of consideration. After all, we’ve seen IBM, Microsoft, and other companies hit their peaks, only to drop back as they face the innovator’s dilemma. Search is past its prime, Google is a search company, ergo — Peak Google. But as the Fortune piece argues (and yes, I’m quoted, for what that’s worth), Google has a lot more going on beyond search. And while it continues to milk that multi billion-dollar quarterly profit center, it’s built five additional billion-dollar businesses — some of which are directly related to its search empire, but others that are not. Google Apps/Cloud, YouTube/Play, Android, Ventures, and Adtech are already past the billion-dollar mark. Huge businesses in waiting include plays in home automation (Nest), healthcare (Calico), transportation (Chauffeur/self driving cars), and connectivity (Fiber). 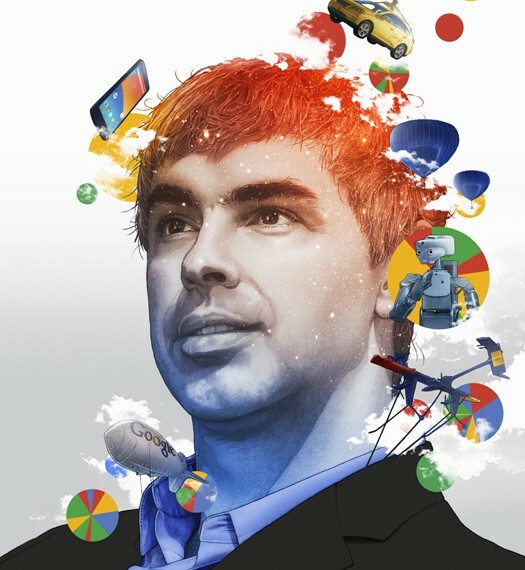 Beyond that group lie a dozen or so potential blockbusters in energy, robotics, AI, wearables, and the unknown moonshots behind the curtains at GoogleX. Page has been floating trial balloons about expanding Google’s mission statement for nearly two years. When Tony Faddell, CEO of Nest, announced Google’s acquisition to his staff in January of 2013, Page took the stage and took questions from the stunned audience. One staffer asked Page why Google had any interest in a home automation company — it seemed quite orthogonal to Google’s focus on search, apps, and mobile. According to sources at the event, Page answered by acknowledging that Google’s mission statement may not be large enough to contain his company’s ambitions. Since that first admission, Page has been testing out the idea of an expanded mission, and with Fortune he aired his ambivalence in public, telling Miguel Helft that “it’s probably a bit too narrow.” And on first blush, that seems right — what does a thermostat have to do with organizing the world’s information, anyway? We see the transportation business shifting to information first, for example. The currently maligned but nevertheless extraordinary Uber is proof of it, but so is Zip Car, Tesla, and the entire autonomous car industry. The true value of these new kind of businesses is in how they understand information flows in the transportation markets, then execute new approaches to old problems (how do I get from here to there?) using novel and/or more efficient methods based on information technologies. Uber doesn’t put cars (commodities) or drivers (means of production) first — it puts information processing first. The cars and driver then reorganize to the new information flows and — voila! — a $17 billion company is born in four years. Uber proves that if you solve difficult information processing problems in traditional markets, you can create world beating value. Airbnb, DocuSign, Lending Club, and many more are further examples of the same thesis. So what markets are ripe for transition to an information first framework? Well, let’s break down what makes for a “ripe” market. I think there are two key attributes of a market ready to be radically shifted by an information-first approach. First, a market where there’s liquidity of poorly organized and processed information. In other words, there’s a ton of data, but it’s not well organized or computed. Think about the world wide web in 1998, for example. Sh*t tons of information, terribly organized and lacking a processing layer. Google came in and — voila — a multi billion dollar company was born in five short years. Secondly, look for a market currently controlled through centralized chokepoints, but with the potential to be rapidly reorganized if and when consumers gain control. Again, look at search — before Google, portals like AOL and Yahoo ruled the web. Everyone went to a chokepoint to “see what was on the Internet.” After Google, consumers took control of their own web surfing. So…what markets have both data liquidity and are currently controlled by centralized chokepoints? Well, let’s look at mobile. Tons of data, terribly organized, controlled by the chokepoints of carriers and OS vendors. Check! Or, how about healthcare? Oh hellz yeah! Energy? Yep! Connectivity? Most certainly! Markets where there’s not yet liquidity of information, but there’s about to be — home automation, food, retail — are also ripe for reinvention. The world is turning into information, and that information wants to be organized, accessible, and useful. I don’t think Google’s mission needs to change at all. Whether or not they knew it at the time, Google created a manifesto that I believe will prove to be dead on in the context of an economic shift to a information-first paradigm. And when the history of this era is written, I’d wager that Google will be seen as the first information-first conglomerate to both identify and exploit that shift.